Broader U.S. equities continued to rally Monday, with some outsized moves in a few specific names. It’s summer trading, and absent a rise in volatility, we could see equities slowly grind higher. Remember, don’t fight price! Here’s a look at our top stock trades for the week. Directly impacted by the ongoing trade war between the U.S. and China or not, all sorts of Chinese stocks have been under pressure. iQiyi (NASDAQ:IQ) is no exception to that trend. However, shares enjoyed a big bounce on Monday, climbing more than 8%. Despite the rebound though, the coast is not all clear yet for IQ stock. 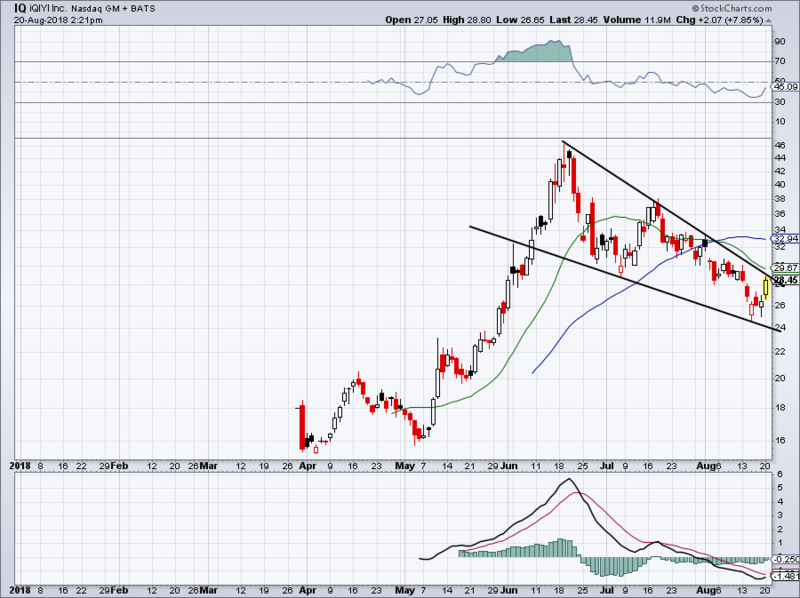 We need to see the stock breakout of its falling wedge pattern now. Further, a move over the 20-day moving average would be encouraging for bulls as well. If IQ can do so, a rebound up to the 50-day is in the cards. Above that, and a move into the mid- to upper-$30s is possible. 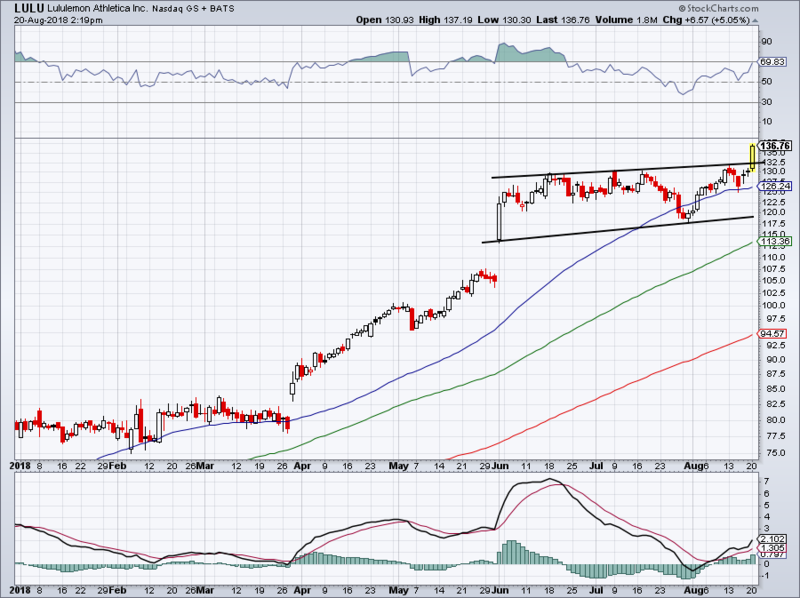 We had previously said investors can buy Micron (NASDAQ:MU) on uptrend support. That came into play near $52, with a bounce resulting in a rally up to $58. The next retest of support failed though — a signal that investors should bail. That would have been wise, after we saw MU dip below $46. Since then though, level support showed up and a bounce is underway. While it’s hard to buy Micron now — up almost $3 per share from its recent lows — aggressive bulls now have a pinpoint risk/reward play. Below the recent low and investors should bail. However, assuming MU can get above its 200-day moving average, a retest of the ~$53 area could be in the cards. Since gapping higher in June, shares of Advanced Micro Devices (NASDAQ:AMD) have been patiently chopping higher toward $20. That’s pretty bullish action and short of a breakdown, there’s really no reason to get too bearish on AMD. As long as AMD is above the 20-day moving average, bulls can justify staying long. The longer AMD stays over the 20-day, the more likely a breakout over $20 becomes. Lululemon (NASDAQ:LULU) has been working out and has been a total stud this year. Shares are up about 70% since gapping higher in late-March. On Monday, LULU extended those gains with another 5% jump. The company reports quarterly results on August 30th, and it looks like the stock could rally into the print. I don’t really like chasing 70% rallies, but Monday’s action was impressive. Below channel resistance and bulls may want to exit LULU. However, should this level act as support (before or after earnings) it could signal a solid buying opportunity in the name. Like I said, I am apprehensive to be a buyer today, but if either level (prior resistance or support) holds up, LULU is likely a buy. Particularly if earnings are out of the way. I would love a post-earnings decline on good results to one of these levels as a sure-fire buying opportunity. 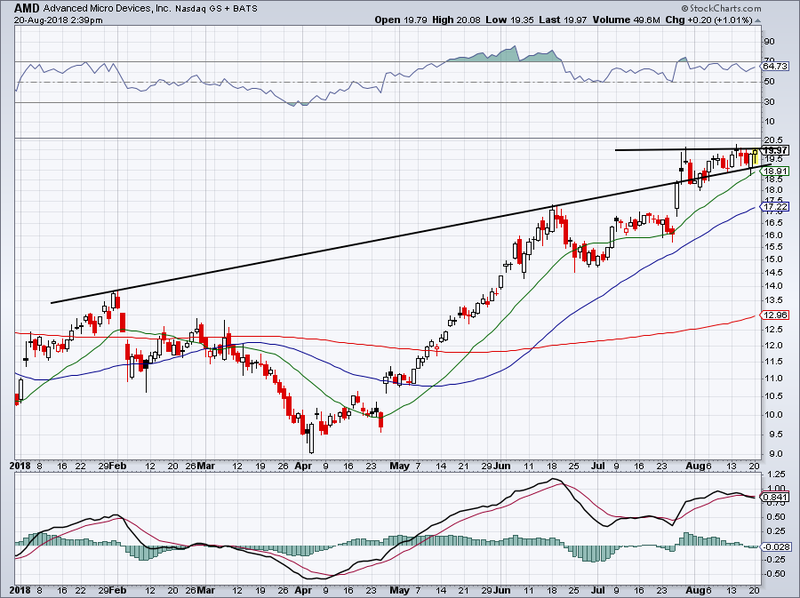 After bottoming near $47, Starbucks (NASDAQ:SBUX) has been on a strong rally. It helps that its dividend was nearing 3% and that its buyback is quite strong. However, a rally back to this level has this long-time observer feeling leery about more upside in the short-term. Shares are nearing overbought territory (blue circle) and a critical level near $55. Further, it’s less than 40 cents per share away from its 100-day moving average, which may cause at least a pause in SBUX stock. The 200-day is up at $55.60. That said, I would expect SBUX stock to at least slow its roll a bit. 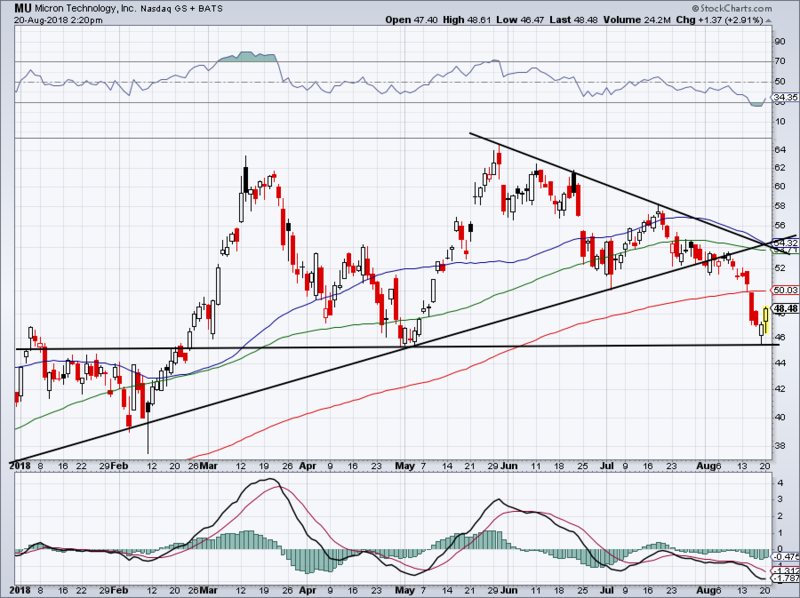 A pullback to its 50-day would be a reasonable spot to buy, provided it holds as support. 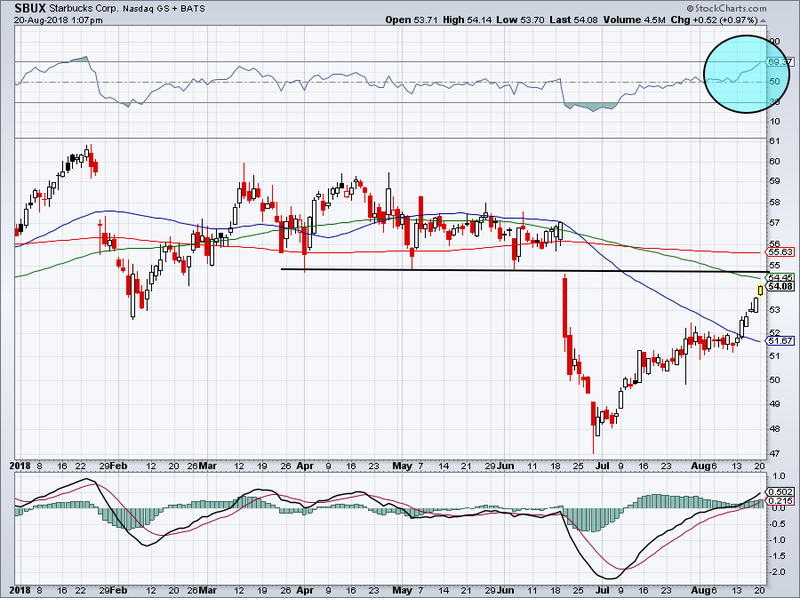 The post 5 Top Stock Trades for Tuesday — Buy AMD, IQ and LULU? appeared first on InvestorPlace.